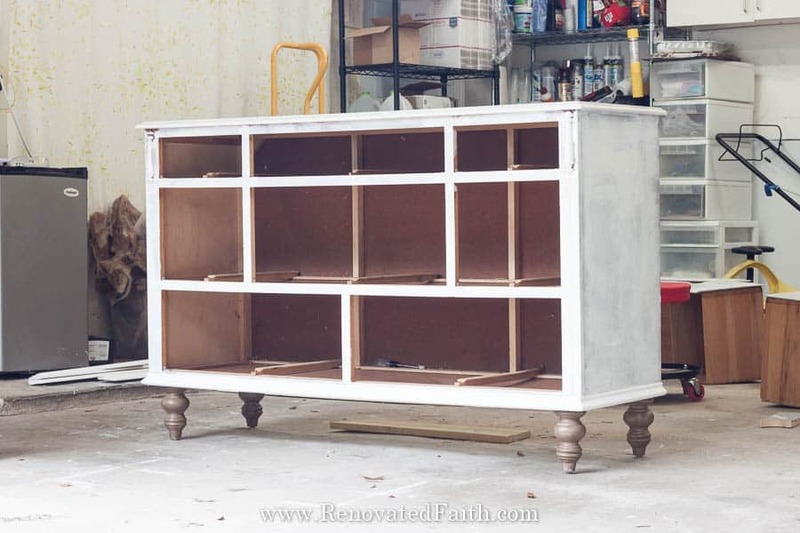 A smelly, broken down dresser gets an unforgettable makeover that seemed all too familiar. 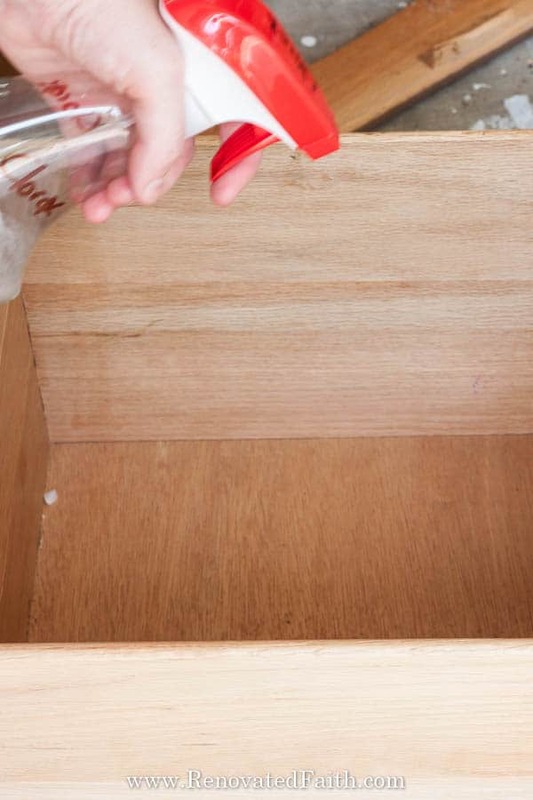 The smell was horrendous, three drawers were broken and another had a chipped corner. However, there was incredible potential in this old piece and reminded me a lot about how God sees us and transforms us into His own creations of beauty. 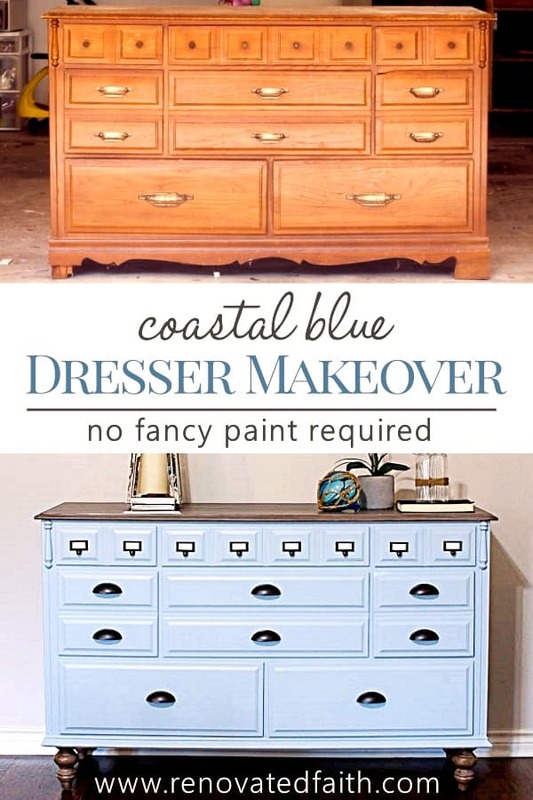 In my blue dresser makeover, see how I turned this resale reject into a fabulous coastal blue statement piece with diy driftwood accents. If you have been watching my Instagram stories, I’ve posted on the process of the dresser and even used it to write a post on How to Remove a Stinky Smell from Old Furniture. In that post I recounted the incident where on the way to the storage facility to pick up the dresser, I felt something move in my shoe. I kicked off my shoe to find a tree frog that hopped around in the floorboard until I somehow managed to pull over the car. You can read the full account of our freak-out moment here. Needless to say, we were late meeting my husband at the storage facility. 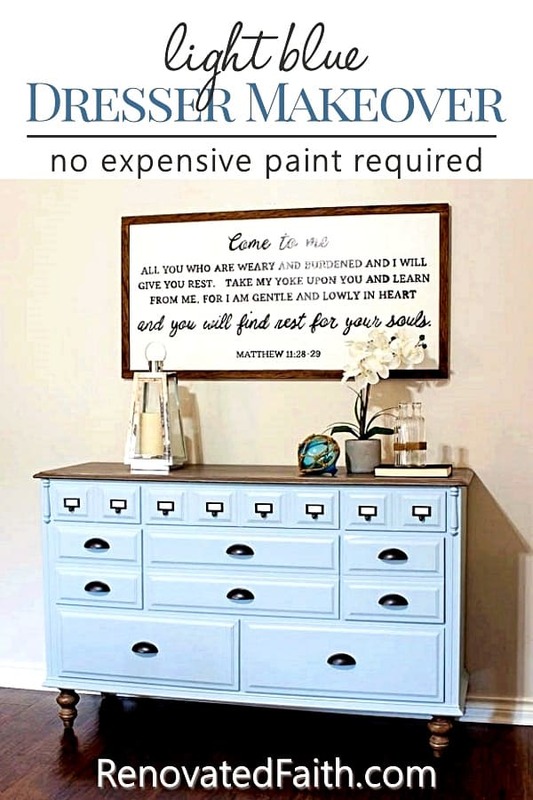 Therefore, the dresser was already loaded up and I didn’t get to do my usual 20 point inspection before bringing her home. 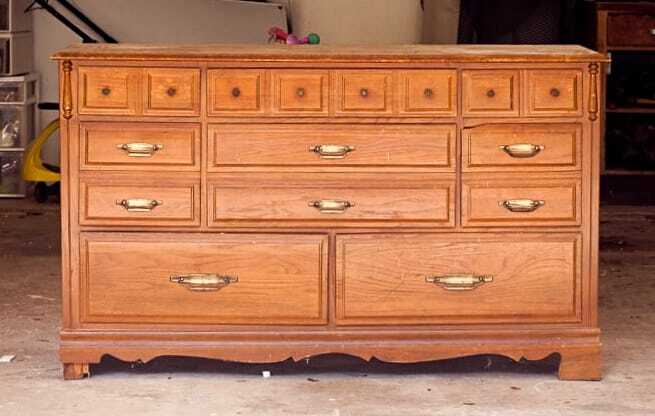 But here she is… She has some of the details of a french provincial dresser but the hardware is more mid-century modern. And let’s not forget the water damage to the bottom which was probably at least partly to blame for the smell. If there was a furniture abuse hotline, I would have called it days ago! And YES…that’s absolutely what I should have done. It needed to be thrown out…it was dirty, broken and WAY more trouble than it was worth. I would never fully recoup the cost I’d but I bought it and wanted to transform it into it’s fullest potential…. After I triaged my patient, I realized that miraculous interventions would have to take place in order to save it. I was able to get rid of the smell using some things around the house that I describe here. 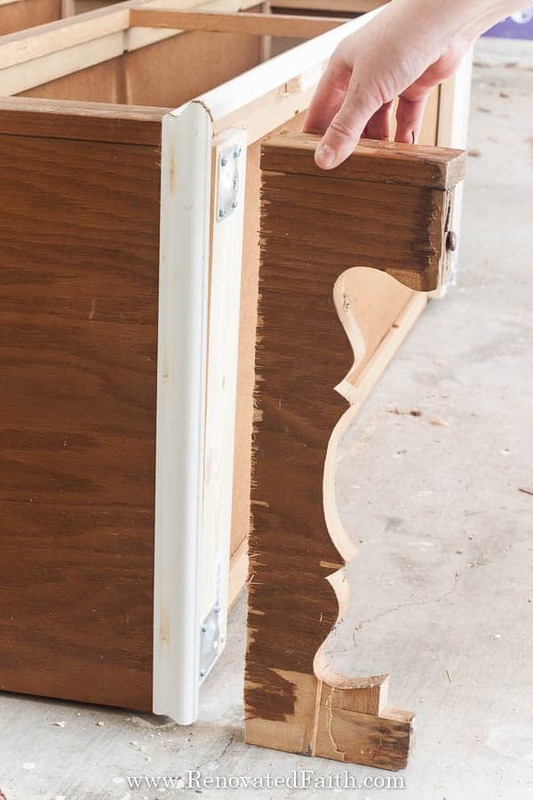 Unfortunately I had to amputate some legs with my new found jig saw skills. 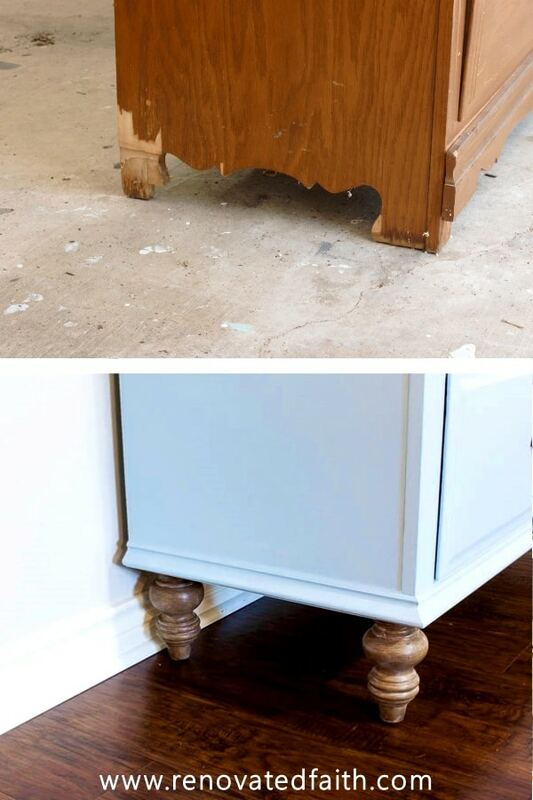 There was no point in salvaging old legs with water damage so added trim and found these super cute legs here. 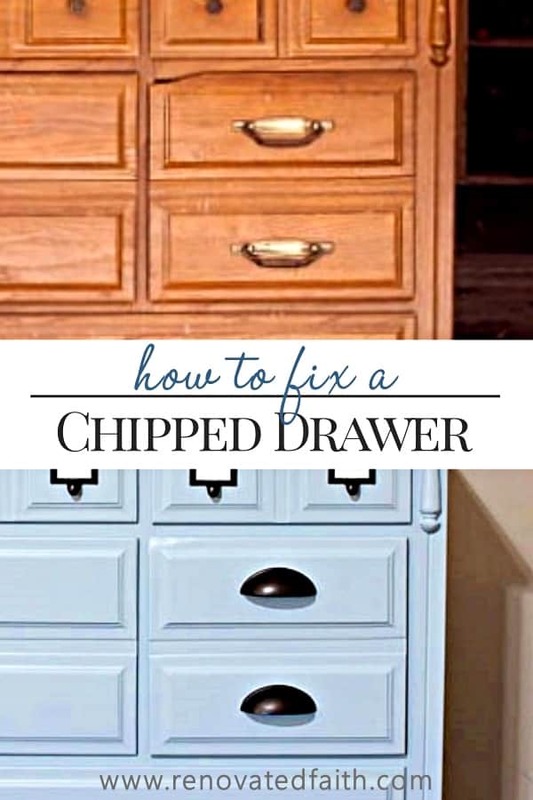 Someone must have kicked it or it fell off a truck because I don’t understand how you chip a drawer like that. I got a little creative and did some plastic surgery for the drawer corner. I put in some trim nails to create a new structure for the drawer (kind of like rebar in concrete) and then epoxyed a file folder rod behind it (because that’s what I had on hand). Then I filled in the area with wood epoxy putty and sanded after it dried. Not too shabby! 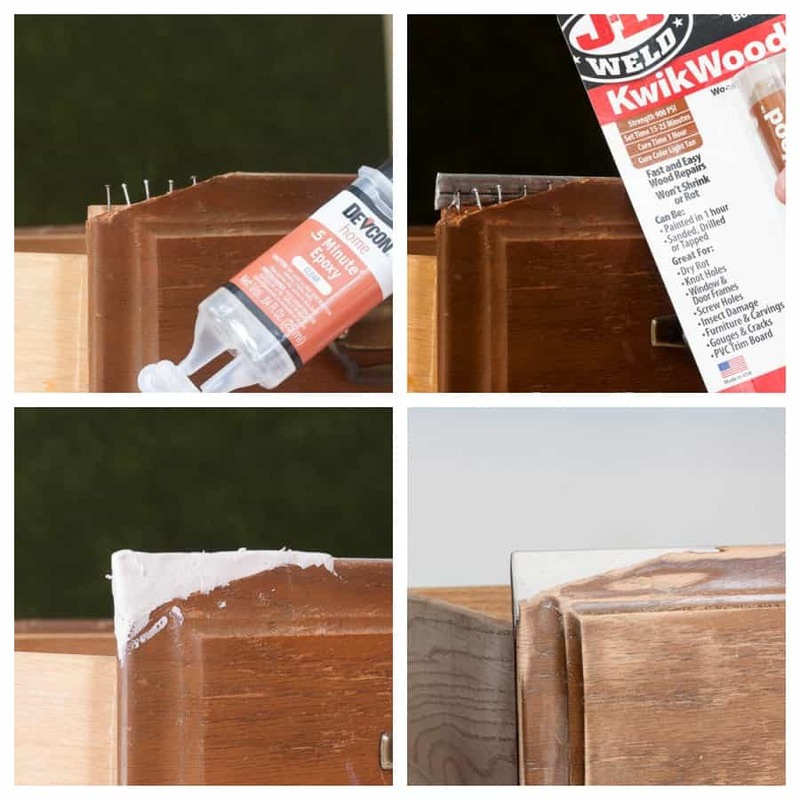 Problem #4: Broken Drawer Guides – Three of the plastic drawer guides were broken. This was another fun surprise but was able to buy some replacements on here on Amazon fortunately. 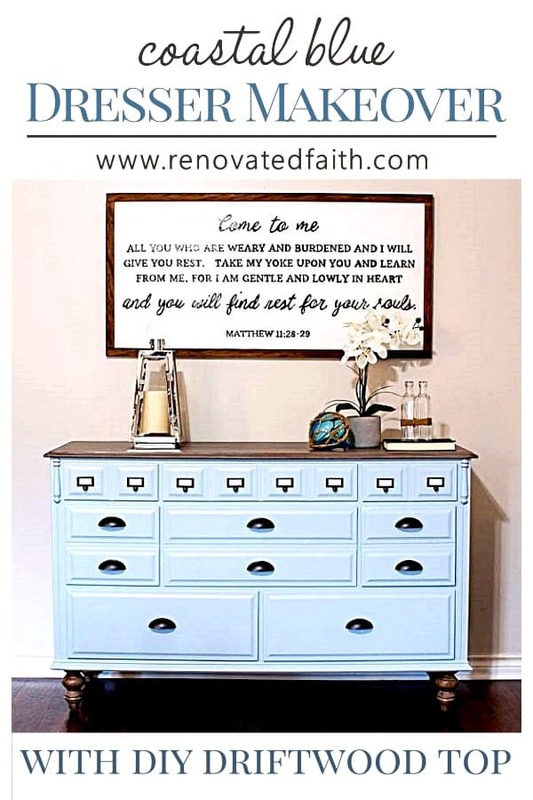 To give the top and legs some added contrast, I did a faux driftwood finish on this oak dresser makeover. 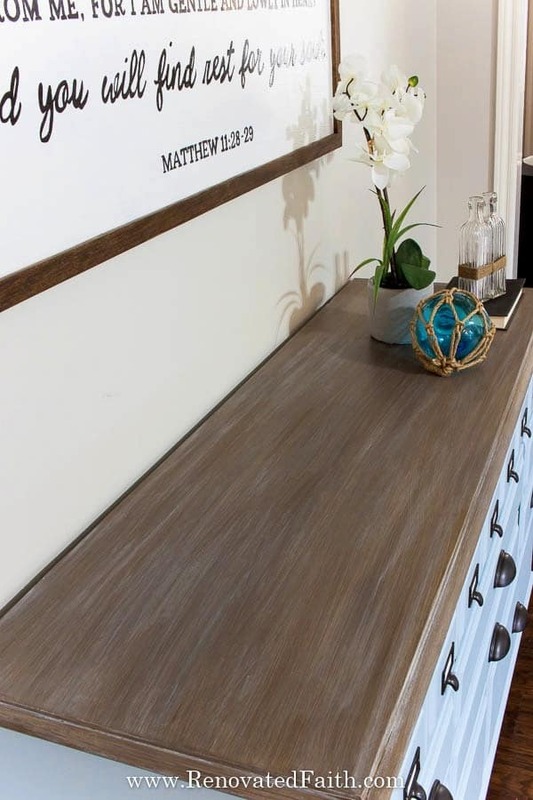 This finish can be done on any surface, not just raw wood. 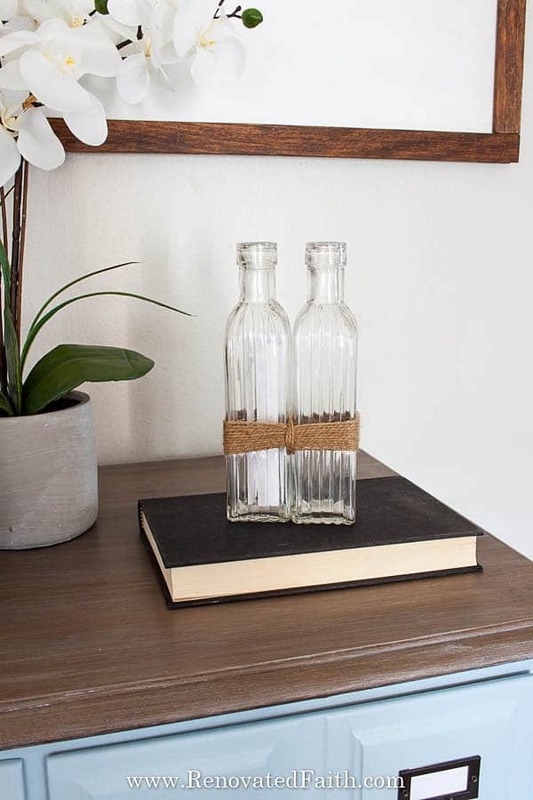 See how to do it in my post on how to do a diy driftwood finish here. 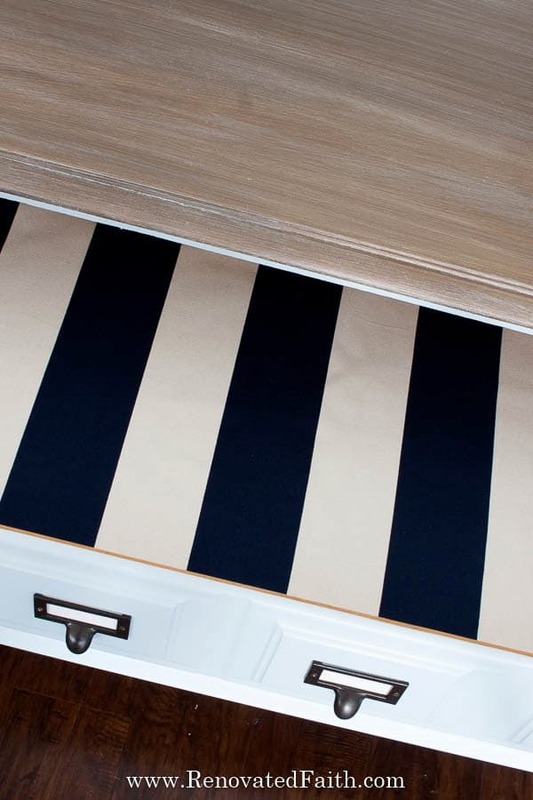 I even added some fabric drawer liners like I did on the marble end tables a few weeks ago. 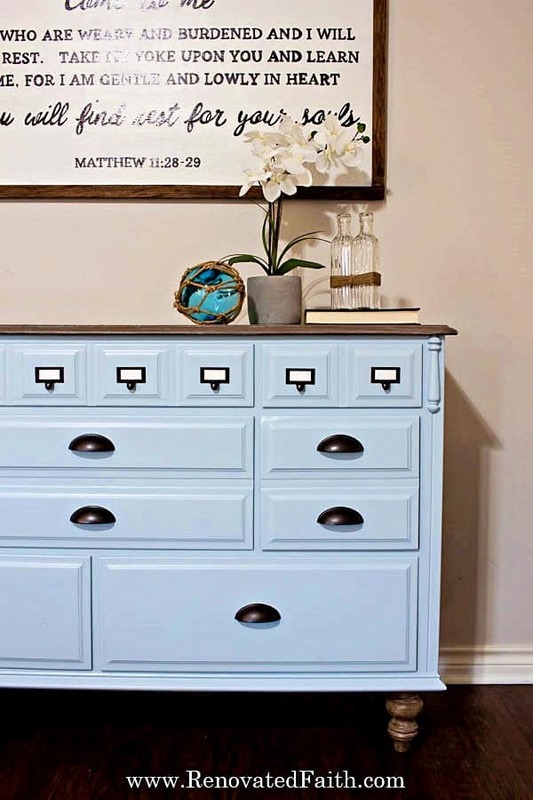 The hardware was replaced with these card catalog style pulls, spray painted in Rustoleum Universal’s Soft Iron. What do you think? 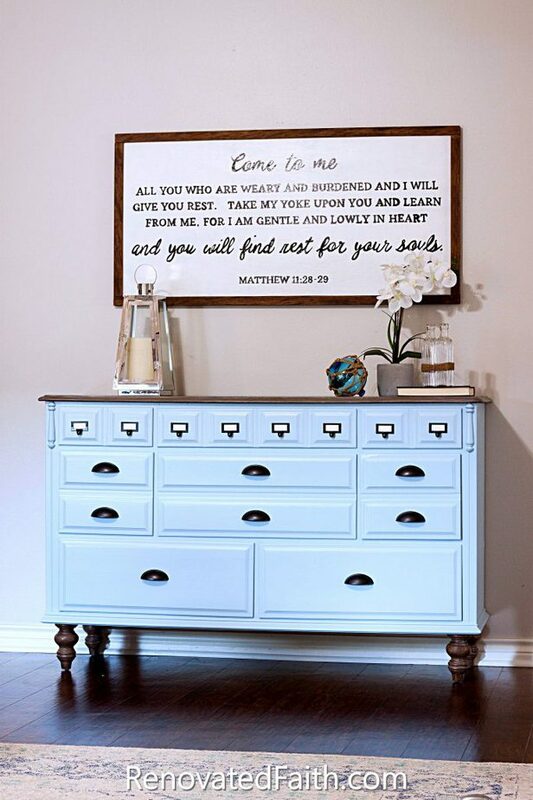 I love the way it turned out and how the driftwood finish looks against the french blue. It even looks good with the diy farmhouse sign I made here. 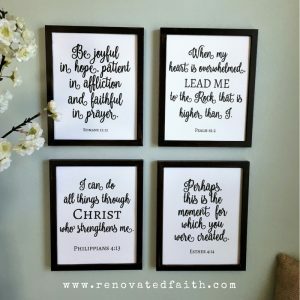 In the same way, our heavenly Father sacrificed His only Son to pull us out of the trash heap to allow us to walk out our greatest potential as His beloved children. There’s no way we could ever pay him back for His tremendous sacrifice even if we tried. We cost him more than He will ever get in return. But in spite of that, He loves us and wants a relationship with us to grow us into who He has created us to be. Thankfully, regardless of what we may deserve or who has rejected us in the past, the only ONE who should have rejected us didn’t. In Him, we can have new life and purpose, if we trust in Him. Karin the dresser is beautiful! 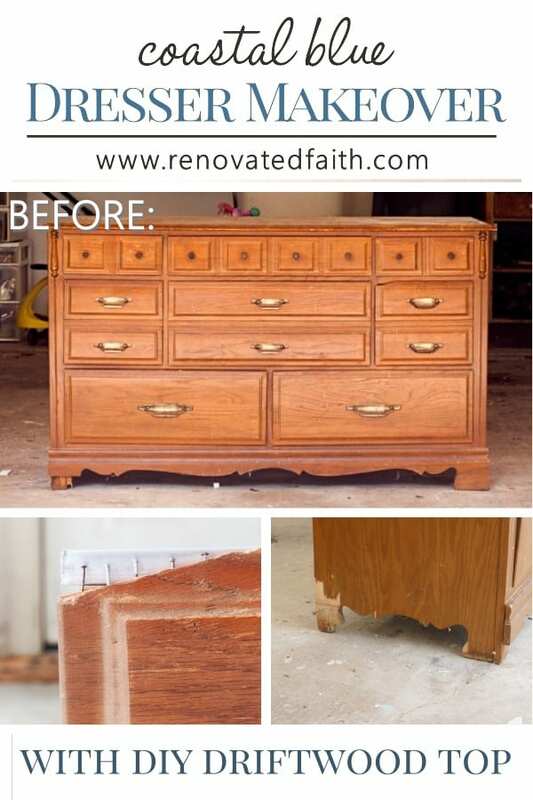 I can’t believe this is the same dresser you were describing and bought several months ago! I love the shade of blue! Great job on perfecting all of its imperfections.